OpenShutters specialise in custom made interior and exterior shutters, including timber shutters, aluminium shutters, louvres and screens. Which Shutters Provide the Best Insulation? 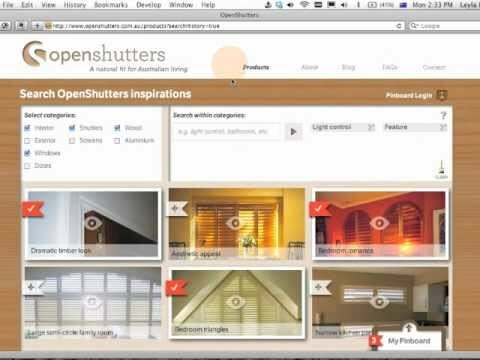 OpenShutters is the brand name of Australia’s No 1, most popular and custom made shutter. It is usually fitted with blades and often fitted in pairs. These are all Australian made – with an extensive range of styles and materials for interior and exterior applications. Where can I use OpenShutters? The most versatile window furnishing, unlike shades or blinds, shutters can be fitted to windows and glass sliding doors, inside or outside. They are also used to enclose balconies in part or all around. OpenShutters can even be used to cover rounds, arches and special shapes such as bay windows. They can be used as doors, for special cupboard fronts, and as room dividers. Why are OpenShutters so popular? OpenShutters are the only window furnishing that can offer the homeowner all these benefits: •	Beautiful looks •	Control the light •	Natural airflow •	Insulation •	Reduce furniture and flooring fade, All whilst maintaining your privacy and views. Do OpenShutters increase the value of my home? Simply, Yes. Developers have re-iterated to us, that the inclusion of Western Red Cedar OpenShutters, will increase the value and desirability of a their properties. Why? The value is increased by the benefits, Western Red Cedar shutters offer. They look good and they improve the quality of life through their thermal qualities. Being solid Western Red Cedar, we have found that OpenShutters insulate a home improving heat loss by up to 47%. In return, reducing a homes requirements for air conditioning, ultimately reducing power usage. That simply means, lower power bills. They also provide privacy, natural airflow and light control. What other window furnishing can offer all this yet still retain your view? Can I move them from house to house? No. Shutters are installed to stay permanently in place, as they are made specifically for your individual openings. How long do OpenShutters last? We can speak from the authority of manufacturing OpenShutters for twenty years for Australian homes. In that time, interior shutters have only come back to us to be resprayed to match the homes new makeover. Remember, the American Indians used Western Red Cedar to create their totem poles, many of which still stand today. It's a testament to why we choose to use Western Red Cedar. What are the OpenShutters Extras? 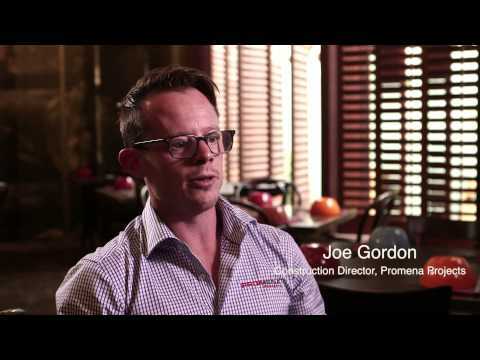 for 20 years we’ve been designing and making shutters for Australian demands. •	Custom made, custom designed to ensure a professional fit to your unique needs. •	Extra choice in shutter styles – flexibility of a bigger range, interior and exterior. •	Extra care – fine-tuned proprietory construction techniques by master craftsmen. •	Mortice and tenon joints, the strongest possible – others make do with dowel joints. •	Extra strength, only waterproof and heat resistant glues – others won’t last. •	Extra fine – sanded components to furniture grade, don’t settle for a rough finish. •	Extra details – designed to minimise sharp corners for better paint coverage. •	Non-corrosive components – no steel pop rivets or shelf supports for blade pivots. •	Extra widths are possible – longer blades are reinforced against sag where needed. •	Leading edge manufacturing technology for consistency and accuracy. •	Panels designed to classic proportions. •	Proven interior paint system: developed by OpenShutters for UV protection and flexibility. •	Paint won’t fade or yellow. •	Extra health benefit of paint being both an isocynate and lead free finish. •	Touch-up care kit available. •	Express order service available. •	Extra reassurance your warranty is from a local company, here for the long haul. •	Expertise you can trust – the most awarded shutter maker in Australia, OPEN is world leader. •	Same high standard of product available nation wide. •	The extra reassurance your shutters are made by Australians for local conditions. Our products are custom-priced. We do not price "per squared metre" as there are various factors which need to be considered, including product type/brand, material, panel numbers per opening, joinery and hardware, finish (including special shapes and any special detail), installation and delivery elements which need to be taken into account. When considering the overall cost, don’t forget they add value to your home. Do Shutters offer me blockout? Plantation shutters have benefits related to insulation, privacy, air flow and protection from fading of floors and furniture, and are low maintenance. However they are not a block out product. There will be light leakage around the panels and between the moving parts. Timber shutters have the characteristics of a natural product, while aluminium and plastics have the irregularities that go with an extruded, machine made product. These factors and the need for moving parts will mean when there is strong light behind the closed shutters there may be irregular patterns of light leaking through the gaps. What is the difference between OpenShutters and louvres? Louvres were the traditional type of shutter with slats spaced at a fixed angle, which could not be moved. Shutters are a modern version of louvres where the slats (blades) can be adjusted to any angle at different times of day. OpenShutters do offer a heritage louvre style shutter for those seeking the traditional exterior look. What does “custom made” mean? For us, “custom made” means that every single component is individually specified for each shutter. Each shutter is made to the unique dimension of your window or door. Each installation is unique. Why is Western Red Cedar the best timber? What is the difference between one OpenShutters blade size and another? 90mm blades are the most popular size, but blade size is really a matter of personal preference. Some people think a slimmer blade gives a more traditional décor look, but the decision is up to you. Our representative will carry samples of the different blade options and finishes to help with your decision. What is the difference between OpenShutters made from timber and OpenShutters made from Plastic materials? How do I move OpenShutter blades? Gently touch the nearest blade and move it to whatever angle suits the time of day. When moving shutter blades were first put into shutters many years ago, the tilting of the blades was controlled by taking hold of the rod down the middle and moving it up and down. OpenShutters found a way to build the tilt mechanism into the back of the blade system to give an uninterrupted view. This has proven very popular, and has now been adopted by the shutter industry, but it is up to you whether you want one look over the other as we can supply both styles. When would I use Aluminium shutters? Aluminium is proven as an exterior building material and it can be powder coated to a variety of colours. It is used for shutters that need to withstand the weather: enclosing balconies, privacy for outdoor areas such as spas and barbeques, to offer shading on the exterior of windows. Aluminium shutters are not suitable for interior applications because they are cold and offer no insulation, are difficult to customize to the interior décor and often are bulky and heavy. While offering a sense of security, they are not a security item. What are the parts of an OpenShutter? One shutter is called a panel. The parts of a panel are the same no matter what material is used. Each panel has a frame and blades. OPEN shutter frames and blades are made from solid timber, without any finger joints or composites. How will my OpenShutters work? Your shutters will be sliding on tracks or hinged in panels depending on the location. Sometimes a combination of both hinges and tracks can be used. I don’t understand “shutter speak”, what do the terms mean? Tilt Rod - method of connecting blades so they can be operated together. Blades - timber slats within the shutter frame. These can be: a) aerofoil shaped – gently curved at front and back like a plane wing. b) flat with splayed edge (external 80mm) – traditional blade, straight cross section. (exterior petite and exterior traditional) Stiles - vertical timbers that house the blades in a shutter frame. Rails	- horizontal members of a shutter frame. Panel - one shutter including stiles, rails and blades Joinery - a piece of timber for use in the installation of shutters. Jambs - a joinery frame in which to install shutters. Reveal - the distance the window is set in from the wall. Opening - the window, door or area to be fitted with shutters. Bi-Fold Hinged - pairs of panels hinged together without tracking. Tracked Even - pairs or even numbers of panels hinged together supported by a top hung rack. Tracked Odd - odd numbers of panels hinged together supported by a top hung track. Colour Spectrum - a colour chart of Australian Timber Shutters standard colours. All paints are free of lead and isocyanates. Colour match - a painter mixes a colour of your choice, not contained in the OpenShutters spectrum. Clear finish - timber is coated in a clear paint. Stained - timber is artificially coloured and coated in clear paint. Interior shutter - shutters used inside, away from weather. Exterior shutter - shutters used outside, exposed to weather. Special shapes - shutters made to fit in arches, rounds and triangles- any shape that is not a rectangle. What is the OpenShutters paint system? Here at OpenShutters, we have been painting Western Red Cedar for twenty years. Over this time, we have developed our very own unique acrylic paint system. This paint system can be colour matched to any pastel colours. This is UV resistant, easy to touch up and most importantly, contain no unhealthy lead or isocyanates. Great for our workers, you and your family and great for the environment. Painted shutters provide a beautiful decorator finish to your home. What if I need advice & how do I order OpenShutters? That’s simple. You can either email us here at OpenShutters or book a quote. But, if you need advice on the type of shutter and/or design ideas, feel free to call us on 1300 136 911 and speak to one of our specialists. Once you order. Sit back & relax. We’ll take care of the rest. I am renovating/building a new home, when should I call OpenShutters? On average it takes six weeks for your order to be made. If you are able to get a quote for shutters based on your actual renovation plans you have the opportunity to include the cost of shutters in your bank loan or finance plans. For best insulation, should OpenShutters be inside or outside the home? Until recently it was thought best insulation was achieved by placing shutters outside. However recent research seems to indicate the tightness of the vacuum between the window and its covering is the main requirement for good insulation. If this becomes the accepted wisdom, then it should make no difference if your shutter is inside or outside the home as long as it is a snug fit. Bear in mind that shutters outside require more maintenance and you may still want to dress your windows on the inside, which can be expensive. Do OpenShutters affect my view outdoors? No. Shutters, if anything, enhance the view because they “frame” the view and lead the eyes outwards to the view. The eyes tend to look beyond the straight lines of the OpenShutters. How often do they need to be sealed or painted? Some types (eg vinyl) never need painting. Others may be given a fresh coat when you re-decorate. Accidents happen that can damage shutters and we are here to supply replacements when you need them. For example, we have known cats to scratch them and children to teeth on them! Just give us a call and we will gladly help you out. This is one of the many benefits of buying an Australian made product from the biggest manufacturer in Australia. OpenShutters Western Red Cedar shutters are anti-static, which means they repel rather than attract dust. All they need is a dust regularly and you can wipe them over gently with a damp cloth for soiled spots. Plastic and aluminium need to be maintained regularly by washing with warm, soapy water and then buff dry. You may need to use a soft abrasive cleaner to remove stubborn marks. How long does it take to get OpenShutters installed? About 6 to 8 weeks from order placement.